The seam where a city meets the country is an uncanny place. It's not rural, yet not exactly urban, either, a non-place often full of half-finished streets and isolated developments. 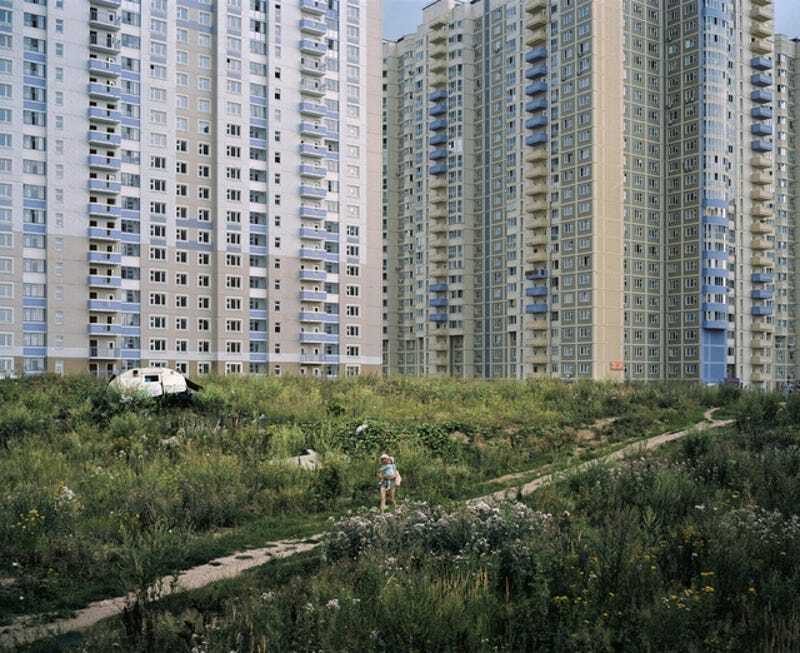 Most of us only see these environments through the windows of our cars, but photographer Alexander Gronsky has spent the last four years in Moscow's outskirts, watching and photographing. Moscow—like countless other cities—expanded outwards after World War II by building satellite towns full of prefabricated towers. It was an optimistic time: Inexpensive, clean, and safe housing for everyone—the dream of modernism—seemed within arm's reach. While some of these projects succeeded and others fell into blight, development has steadily expanded Moscow's footprint, now bristling with pastel-colored high-rises. Gronsky shows us what life is like amongst these hulking beacons, which tend to dwarf the humans who live in them. In some photos, it's hard to make out the humans at all, in fact; they are more like implied presences amidst the architecture and the encroaching brush. In others, the tiny figures seem defiant, carving out whatever leisure they can: half-finished construction sites serve as beaches and industrial canals host errant scullers. It is here that one is able to see interaction between humans and nature in a very dense way. They are neither urban, nor rural. Invasion of chaos in human habitat and also the place where people come to enjoy nature in quite sad and touching ways. 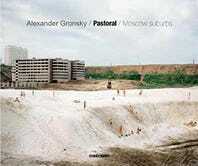 Gronsky definitely has a sense of humor about the series—he named it Pastoral, which is kind of like a New Yorker calling the Rockaways Bucolic.